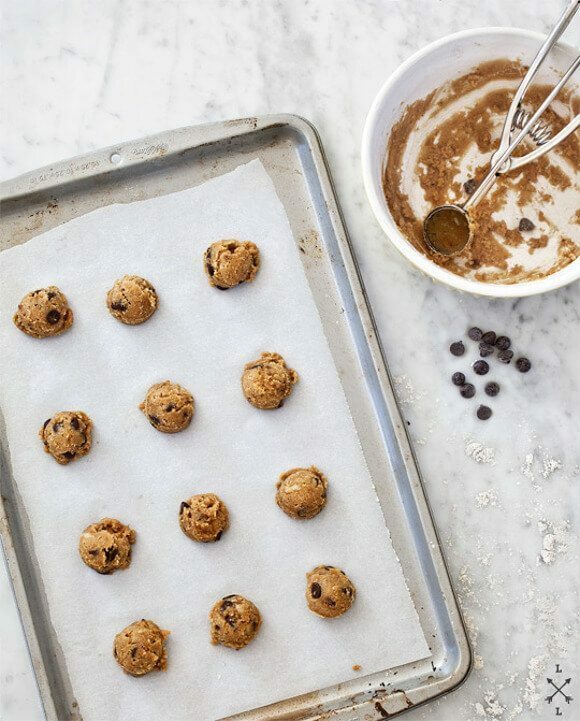 Make a batch of these chewy and moist gluten-free chocolate chip cookies, and they'll be gone in no time. One of our favorite treats! I’ll be honest, most things I bake don’t make it to the blog. For starters, I don’t bake very often. Our household (not including the dogs), is just 2 of us. And if 12 cookies are made one day, 12 cookies will be gone the next day. When I do bake, I’d call it experimental more than anything else. I can’t bring myself to follow a recipe all the way through without changing at least a few things, sometimes as an attempt to healthify things. Other times, I’m just too lazy to go out and get the exact ingredients. You know how I like to work with what I’ve got. But every now and then one of my “trial by error” baking projects works out. These gluten-free chocolate chip cookies were one I was especially pleased with. These didn’t flatten out like I thought they might, but I really enjoyed the thicker texture of these gluten-free cookies. They’re not too dense, nicely chewy, and moist, and, of course, filled with walnuts and chocolate. 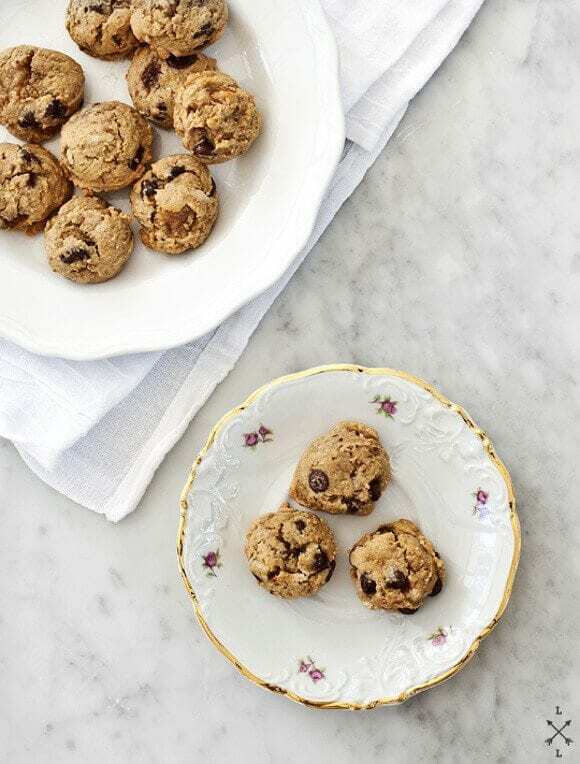 In these cookies, I use part gluten-free flour blend and part coconut flour, which I’ve been experimenting with since it’s so healthy. It has tons of fiber, but be careful – it can make your baked goods very dry if you use too much and if you over-bake. Add lots of nuts and chocolate. That’s not the area to skimp. Different flour blends work differently. I’ve started liking Bob’s Red Mill gluten-free blend lately because I find it the most similar to all-purpose flour. In addition, it doesn’t have dairy in it like some other blends do. With many flour blends, the raw dough tastes terrible. (Maybe the saddest part.) Fortunately, the dough’s funky taste goes away once it’s baked, but if you’re having one of those days where you need to consume a bowl of dough, you need to use another kind of flour. I’d recommend an oat/almond flour combination. In a medium bowl, sift together the flour blend and coconut flour and mix in the baking soda and salt. To the same bowl, add the cane sugar, brown sugar, coconut oil, milk, vanilla, and beaten egg. Using a wooden spoon or a hand mixer, mix ingredients together until well combined. Dough will be on the thick side. Stir in the chocolate chips and walnuts. 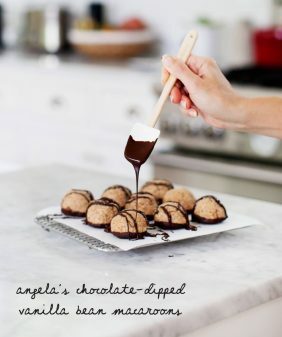 Drop dough balls onto a cookie sheet lined with parchment paper. Bake for 8-10 minutes or until they’re slightly golden on top, but still very doughy inside. Take them out while they’re still pretty underdone in the middle: they will continue cooking as they cool. Let them sit on the pan for one or two minutes and move them to a wire rack to cool. *A flax or chia egg may work here for a vegan option, but I haven't tested it, so I can't guarantee the results. 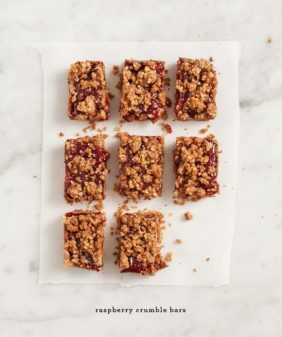 adapted from this Martha Stewart Whole living recipe which was posted by Jennifer, of the blog Cinnamon Quill, a blog I really enjoyed reading. Ironically, her recipe is for flat cookies, so if you want flat cookies, make hers. I tend to not keep all of those gluten free ingredients on hand so I used the flours I had already in my kitchen. Thanks for the fun idea! 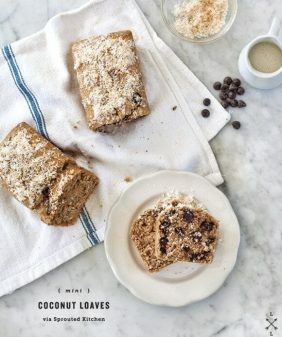 I’ve never baked with coconut flour before, but am totally willing to give it a try! these gluten-free cookies look delicious! i’m very similar, i like to work with what i’ve got on hand rather than spending money on an ingredient i’ll only use a tiny bit of once. i think the reason that the dough tastes bad is because bob’s red mill gf flour has chickpea flour in it, which tastes TERRIBLE when raw. yea, that chickpea flour… I love that it’s in the mix and that it works, but so gross raw. These sound lovely little cookies. I agree about raw gluten free dough tasting a bit funky, I was worried the first few times that my cookies were going to end up tasting bad but thankfully that hasn’t been a problem so far! These look amazing and I agree with Caitlin, it has to be the chickpea flour, it has terrible after taste to it uncooked. I have made lots of gluten-free cookies without bean flours where the dough is quite tasty. 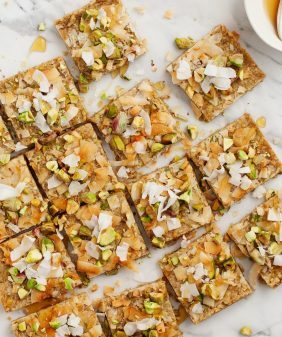 These look amazing and I love that they aren’t flat, I am not a huge fan of flat, thin cookies, myself. ok, thanks, I just clarified that in the post… (I don’t want people being mad at me for claiming that no gluten free dough can taste good)… I just really like that mix, a nice change from the usual oat/almond combo I was always using before. Just made these and have absolutely zero self-control, as evidenced by the 3 missing cookies. I used 3/4 cup oat flour instead of a blend, and they turned out delicious! This is quite the tasty recipe. Oh wow, I just came across your site and it’s gorgeous. How perfect that you designed it and your partner programmed it. Beautiful job! About Bob’s All-purpose gf flour, yes raw = gross, but I am fine with the taste once baked. I just posted a banana bread recipe (with lots of chocolate chips, you’re so right about that! Never skimp!) inspired by the one on Bob’s pkg and it’s a big hit in my house. I used a rice flour blend (Better Batter) which is less dense than Bob’s but not as healthy. The bean flour gives a nice protein boost, just don’t lick the batter, as you know! I have the same problem, but I always share my bakes with friends and family. when I meet someone for coffee I often bring a small bag of whatever I have around, and it brings positivity in many ways. I don’t eat all the cookies myself and I made a friend happy. I’ve never tried working with gluten-free flour before, and coconut flour is new to me too. What is coconut flour exactly? They look delicious ! 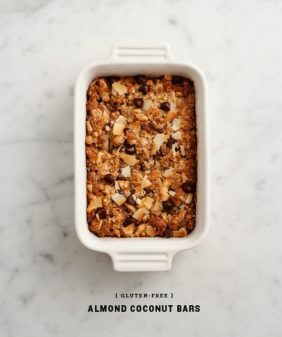 I’ve never cooked gluten-free but I’m willing to try… thanks for the recipe ! Man, I’ve yet to try a really good gluten-free chocolate chip cookie. Maybe this will be it! I just wish different flour varieties were easier to access and not so expensive. I like the idea of a chunky domed cookie so I’m glad yours weren’t flat. I make an all-purpose mix at home with Bob’s Red Mill flours – stir together 1 1/4 cups brown rice flour, 1 1/4 cups white rice flour, 1 cup sweet rice flour, and 1 cup arrowroot starch – it is the greatest gluten free flour blend I’ve ever used (and you can eat the raw dough). Also, add 1/4 teaspoon of xanthan gum for every cup of flour. Anyway.. these cookies sound delicious. 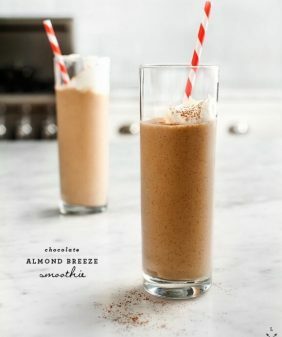 Chocolate + walnut is one of my favorite flavor combinations. I don’t try to avoid gluten myself, but last night I learned that three of my closest lady friends are all giving it up for a while. Now I feel compelled to learn how to make gluten-free goodies, so I really appreciate your notes on flours! Gluten or no gluten, these cookies look delicious. I’d love to make these for my younger cousin who eats gluten free. His parents often feel bad when he can’t eat desserts with his friends, but this would be a great solution! If you’re not gluten free, spelt flour works well (I use it most of the time). Or oat flour should work too. Ordinarily I struggle with the idea of gluten free alternatives to things that usually have gluten in them. But lately I have been cooking more gluten free things for my sweetheart who has inflammation issues in his joints and the boy loves cookies! These look delicious. Can’t wait to try experimenting with different flours. Do you think you can do an even swap of either oat or almond flour for the Bob’s all purpose? Will it work if you don’t use soy milk and regular mix? It should – I can’t be exactly sure because I didn’t try it myself but I can’t see why not. I love Jennifer’s blog. It was one of the first I started reading about 3+ years ago. Cookies are one gluten free baking venture I steer clear of. I think that needs to change. I followed the recipe almost to the T, except that I had a heavy hand with the rice milk and had to add more flour to thicken it up at the end. But they turned out SO WONDERFULLY!! I make my own flour, so I used a mix of brown rice, white rice, oats, and cornstarch. I would say that subbing pure oat flour (which you can make in the blender) would be just fine. I loved these cookies so much. I will bringing a tray to a holiday part of monday to showcase some yummy gf/dairy free options. Thank you so much! These are amazing! My mom was so excited to be able to have some GOOD gf cookies 🙂 Thanks so much for sharing. These were wonderful! I loved that they weren’t flat, but full of flavor, great texture, and of course, chocolate! I used almonds since I was out of walnuts. Perfect snack/treat for a rainy afternoon. Thanks! I noticed that you didn’t use xanthan gum, which I’ve read is always required when baking gluten-free. When is it really needed? I’ve never used it… these are a little bit on the crumbly side (xanthan gum is supposed to help with cohesion). It honestly scares me a little, no one really knows it’s long term effects because it’s so new. So I’m alright if a cookie is a tiny bit crumbly as long as it still tastes good. I also try to keep the strange ingredients to a minimum so that my recipes are approchable to everyone, gluten free or not. (but I’m by no means a professional gluten free baker, so others may have different knowledge and/or opinions). These are so delicious, thank you! I subbed the coconut oil for butter and had to cook quite a bit longer than 8-10 minutes (maybe twice that), but other than that, followed the recipe exactly, and they came out so perfectly! Your description of how to tell when they were ready was spot on, and I was glad to know beforehand that the dough would be gross. I’d have been pretty disappointed (and worried) about my first taste if I’d not been warned, hehe. Thanks! Hi Sarah, I’m glad you liked them! These cookies hit the spot on a dreary winter day when i was stuck home with my sick 2-year-old. I used Arrowhead Mills Organic Spelt flour, which has been my go-to for gluten free cooking. I’m also trying to avoid processed sugar, so i used coconut sugar instead of cane sugar and 1/4 cup maple syrup instead of brown sugar and they came out AMAZING. I am a horrible baker because i have such a hard time following recipes to the letter, but this time it worked. I want to eat them all and my 2-year-old loved them too! Hi Ali, I’m so glad you and your 2-year old enjoyed these! I also love spelt flour, but while it’s wheat free it’s not gluten free. Just fyi, in case you’re baking for someone with allergies! Oh my god, really? How embarrassing is that! I guess i need to read up on my flour alternatives. Thank you for letting me know. In the meantime, I did buy some Pamela’s gluten free flour, though I’m not so sure about all those starches (potato, arrowroot, tapioca). Having lived through the fat free craze, and Atkins, this feels very much like another diet fad, though I understand some people do have serious gluten allergies and I’m glad I will not be feeding them spelt! I totally hear you, I’m not gluten free so I enjoy all the flours :). But I understand that people have food sensitivities so I try to offer options here on the blog when I can. I don’t think the starches are particularly harmful and without them GF baked goods don’t rise as well (especially muffins, cakes, etc). I’m working on a cookie recipe that uses almond flour that’s pretty delicious. I follow an AIP diet- which is strict! These cookies were the best I’ve tried to make myself! I eliminated nuts and used flax seed as egg, cake out great! !